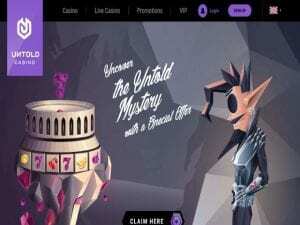 April EXCLUSIVE Welcome Bonus at Untold Casino! Hey, lovely people, it’s Lewis here from the Casino4U team. We love and continually strive to bring our dear readers all of the most applicable and exciting news in casino land. There certainly does seem to be lots of great offers and special deals around this month. The new one from Untold Casino really is no exception! If you’re not familiar with this thrilling online casino then let us enlighten you a little. 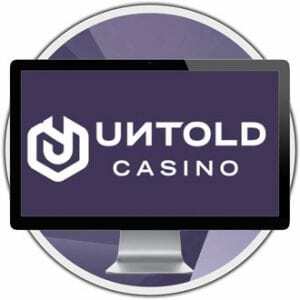 Untold Casino is a fairly new kid on the block. Especially in terms of how long some other online casinos have been around in comparison. They started out in 2018 however, in a relatively short time have established themselves as a top player (pun intended!) on the gaming scene. They offer a huge choice of online slots and games and a special loyalty scheme where players are rewarded with lovely freebies like free spins. Furthermore, for the month of April, they are offering a special welcome bonus deal exclusively for new players. They really love to bring their customers the best online offers as do we to our readers. 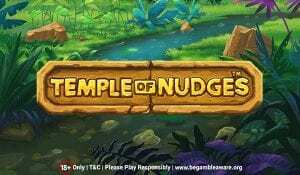 Therefore, for the following month of April, all new players registering at Untold Casino get the chance to play on one of the newest NetEnt online games Temple of Nudges. (Look out for our full review – coming soon) Not only that but with a fantastic welcome bonus too! This bonus will be active ’til the 1st of May. Sadly, players from the UK are not eligible for this offer. But for all you other lucky international folks, head over to the casino now to take advantage of this fantastic offer!